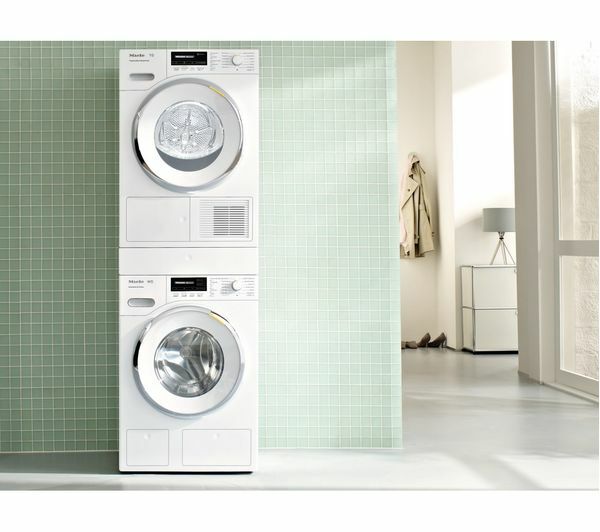 Your laundry will be gently lifted and steam dried by the unique Miele Honeycomb Plus drum which uses hexagonal air pockets for cushioning. Creases are reduced after drying so ironing is quicker and simpler. Finding that last sock in the drum is hassle free with the interior LED lighting, which will never need replacing and illuminates the drum perfectly. Clothes and laundry will be dried to perfection no matter the hardness of your water supply. 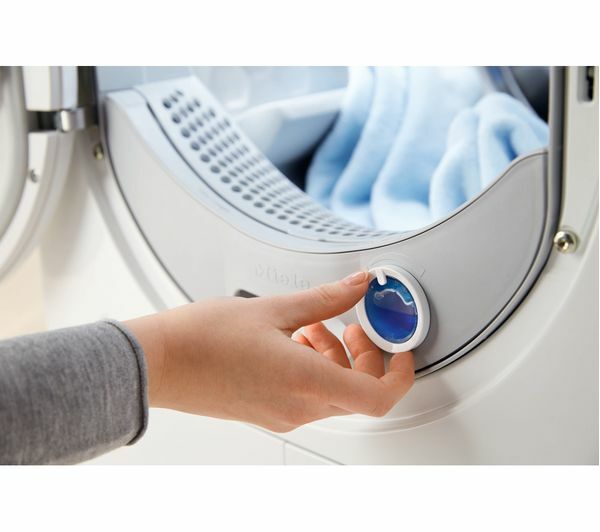 The PerfectDry sensors detect the moisture inside the drum and adjusts drying time accordingly. Creases will be noticeably loosened and ironing may become a thing of the past when you use the SteamCare program. 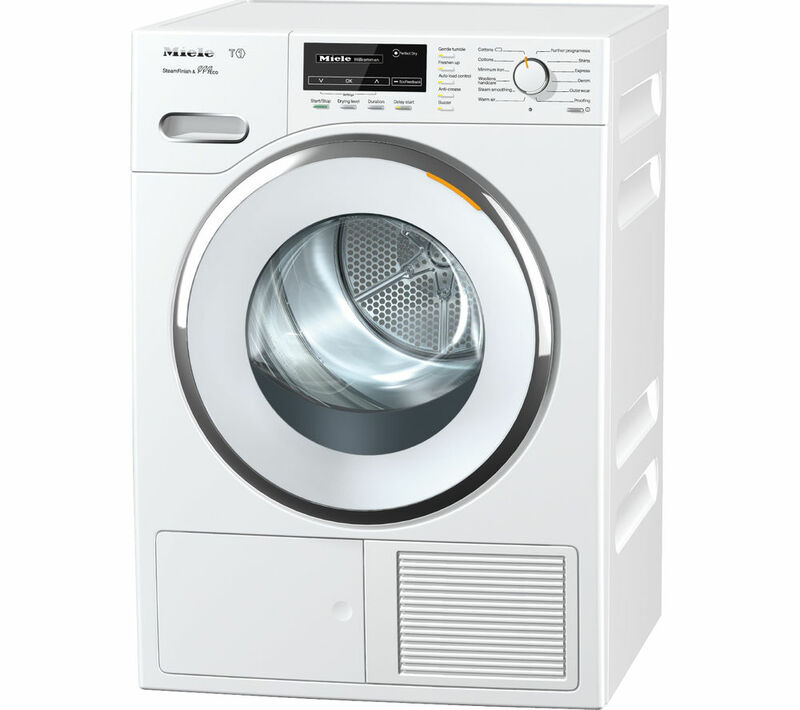 Water is sprayed and heated to fill your drum with a fine mist while your laundry dries, actively softening wrinkles and folds. You'll be able to enjoy that freshly laundered feeling as Miele's FragranceDos capsules leaves your clothes smelling wonderful. There are five different scents to choose from which all last up to four weeks. 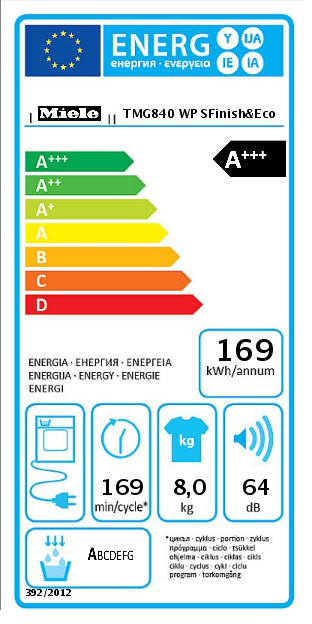 With an A+++ energy rating you'll save money on your monthly energy bills and stay kind to the environment by using up to 30% less energy than other A rated standard models. 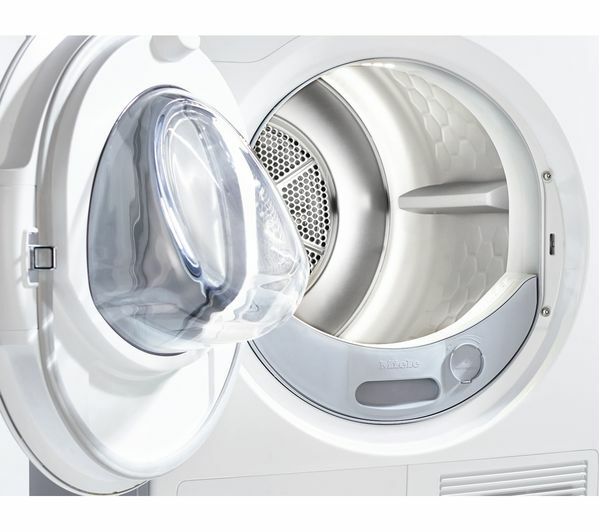 While conventional tumble dryers release the hot air used to dry your clothes, the Heat Pump technology within the TMG840 conserves and reuses it, so less energy is used and reducing energy consumption further by up to 46%. Check existing electrical connections are safe and within 1.5 metres of the appliance. Connect your new appliance to the electricity, and either an existing extractor fan for vented models or waste pipe for condensor and heat pump models. 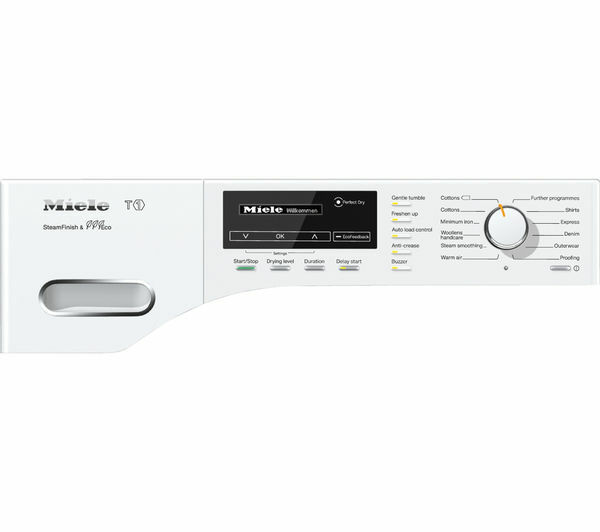 If you add recycling to your order we’ll also take your old appliance away for recycling. 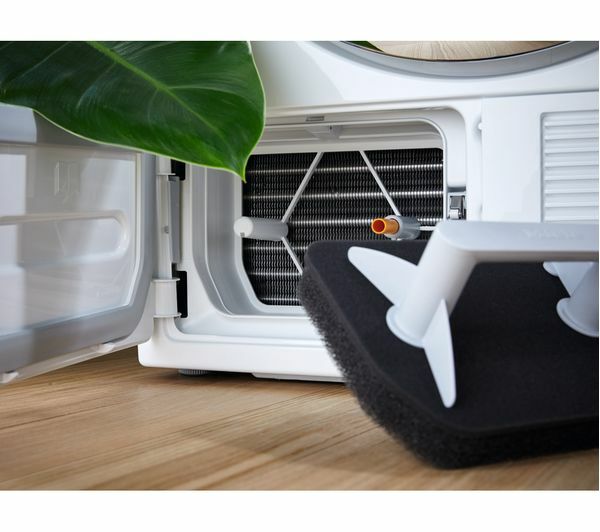 Note: Before we arrive, you will need to make sure access is clear to the area you want your appliance installed, it will fit into the space and that the connections are within 1.5 metres.